MDFlow Systems has a proven track record of over 10 years in helping healthcare organizations improve their information technology performance. 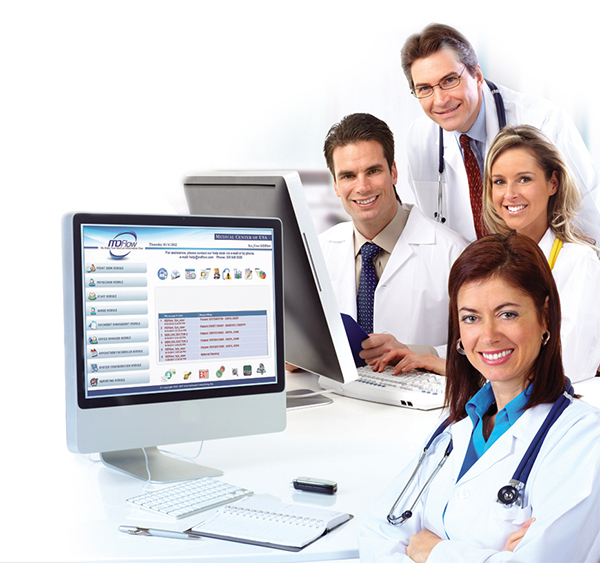 Information technology plays a crucial role in the healthcare industry. Providing adequate information technology is a huge expenditure for health care organizations. Healthcare organizations are expected to increase their spending on information technology in 2018 by about 10 percent over the amount they spent in 2017, according to an analysis by Forrester Research. The common rule of thumb is that most healthcare organizations spend about 3 to 5% of their gross revenue on IT operations. For example, an HMO or hospital with a gross revenue of $500 million will spend about 15 to 25 million dollars on IT. While 3 to 5% is low when compared to the 8 to 12% spent in banking or other industry, 15 to 25 million dollars often represents the difference between financial success and difficulty for a healthcare organization. With over 20 years cumulative experience in the HIT field including executive positions and senior consultant in healthcare organizations, we understand the territory and the currency of healthcare. We can help healthcare organization to manage and control the cost of software development and maintenance while keeping your business objectives. We are specialized in the following areas. More and more health organizations are focusing internal staff on mission critical activities and outsourcing other functions. We want to be the extension of IT department of your organization. Our software developers are a group of well-trained professionals with solid experience and knowledge in all aspects of the software development life circle (“SDLC”) and healthcare industry. We can put together a team of IT professionals with skill and experience in meeting your requirements well within your IT budget. Outsourcing can increase access to newer technology and reduce the risk of becoming technologically out to date. Give us a call today and let us show you what we can bring to your organization. When you need assistance or help, you can count on us. A LIVE and FRIENDLY support staff will answer your call within 3 rings! Let us show you how we can transform your practice or healthcare organization. For more information or to schedule a system demo, please contact us at 305-648-0028 or email us at info@MDFlow.com.